I am the guardian of the Green. I am Poison Ivy! Hot Topic just released its newest Funko retailer exclusive DC Comics Pop! vinyl figure, and it is a real beauty! Check out the New 52 Edition Poison Ivy Pop! based on the iconic Batman villain’s appearance in DC Comics’ New 52/Rebirth soft reboot. 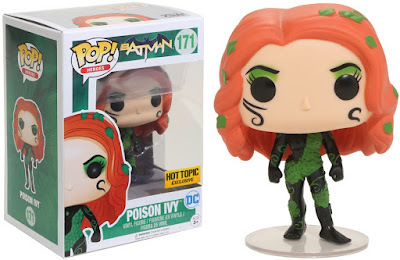 The Hot Topic Exclusive “New 52” Poison Ivy Pop! DC Comics vinyl figure by Funko stands 3.75” tall, features one point of articulation and comes packaged in a full color displayable window box. This awesome exclusive is available now at Hot Topic stores and online here for $12.50.